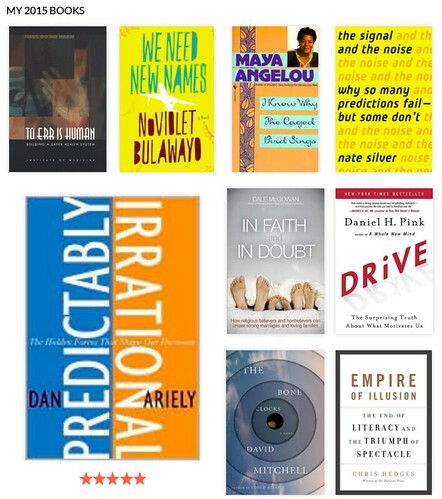 All the Books I Read in 2015! 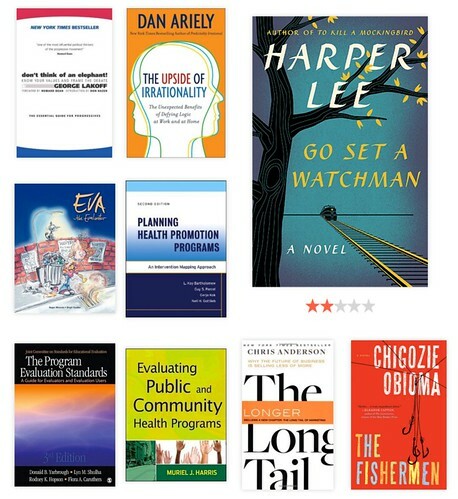 Wow, I just realized there isn’t a single fiction book on that list that I just chose to read myself. Good thing for my book club or I wouldn’t have read any fiction at all! Dec 4. Create a computer simulation model. All the New Foods & Drinks I Made This Year! One of my goals for 2015 was to “make 15 new food or drink items that I’ve never made before”. And I managed to blow this one out of the water, with 19 new food items! So that’s 23 new items I made this year! Go me! 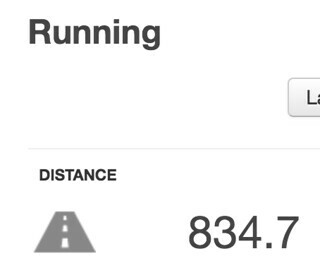 And speaking of my 2015 goals, another one was to run 800 km. Mission accomplished! 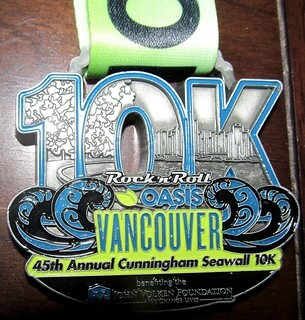 I actually hit the 800 km mark back in Oct shortly before running the Rock’n’Roll 10 km race. And then after it got cold and rainy and dark and I had no other races to train for, and it became very easy to not go out running. In fact, after the 10 km race, I only went on three more short runs for the entire rest of the year1! I decided that rather than make myself go running in the cold and the dark and the wet while I had no race for motivation and take the fun out of running, I’d take a bit of a break from running until the new year. And now that the days are getting longer and I’m starting to think about the races to do in the new year, I think I’ll really be ready to get back into running when I return from my holiday. One of my 2015 goals was to add 5 new race medals to my collection. Mission accomplished! I originally thought I’d get a bonus medal called the “Double Beat” medal for having done two Rock’n’Roll events, but I learned too late that you had to do at least a half marathon distance at each event to qualify for that, so no bonus medal for me! 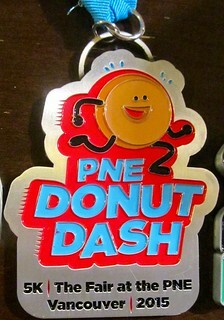 Good thing I’d done the Donut Dash so I already had five1! 93 down, 22 to go! With just 4.5 days left to go in 2015, I have 22 blog postings left to go1 to reach my goal of 115 postings, so I’m going to see how many blog postings I can power through this afternoon. Apologies in advance for flooding your Twitter stream/Facebook feed/RSS feed! 68 down, 47 to go! As I’m sure you’ve noticed, I’ve ramped up my blog writing as of late, but I haven’t quite been hitting my target of 7.25 blog postings per week in order to make my goal of 115 blog postings for this year. By my latest calculation, once I include today’s posting and one for tomorrow, I will have to publish 47 blog postings during the 31 days in December – or 1.516 blog postings per day. I do have a list of stuff that I want to blog about (plus a few other items I’ve added to my mental list since I published that list), but I certainly don’t have 47 blog posting ideas. And I find that when I challenge myself to a blogging goal like this, it tends to lead to the dreaded blogger’s block. So I’ve decided that for the month of December, I’m going to use the “daily blogging prompts” from the BlogHer website. These prompts take the form of a list of questions, one for each weekday1, and then you just write a blog posting to answer that question. So that gives me content for 23 blog postings, which means I only need to think of content for 24 blog postings. I have 12 items on my list that I haven’t yet posted about, so that just leaves 12 things that I’ll need to come up with. And given that there are lots of things going on in December – and there’s my usual end of year postings2 – I feel like this goal is do-able! Now I just have to hope that the daily prompts are actually interesting so that I don’t bore you all to death! Image Credit: Posted by Got Credit on Flickr with a Creative Commons license. So apparently I’ve rediscovered that I have a blog. Sadly, I totally forgot that November is NaBloPoMo1 – the month where you are supposed to publish a blog posting every day – until about 2 days ago, which was 11 days to late to realize such a thing. I have, however, rebounded from one of my worst ever months for blog posting – I only posted 2 postings last month. Two! – having already posted 4 blog postings this month2 and the month isn’t even half over. Rediscovering that I have a blog has reminded me that I have a list of goals that I aimed to accomplish this year, something I haven’t really thought about since, well, basically since I started working on the course that I’m currently teaching, which has pretty much taken over my life (outside of my day job) for the past three months3. Run a sub-2 hour half marathon. Complete the 100 push up challenge. Apply for at least one research grant. and the second and fourth ones of that aren’t going to happen without a miracle. But the first and fourth are things that I can still tackle – and now that I remember them, perhaps I will start on them! A friend of mine and I have taken up home brewing, because science. It’s a long story that I’ll blog about later, but suffice it to say that we recently finished our first batch and it was, shall we say, suboptimally carbonated. Tasted quite good for a first batch, if I do say so myself, but one can only drink so much undercarbonated beer, so I came up with the idea that I should look up some recipes for things you can make with beer, because beer. And I came up with the following, all of which tasted pretty darned good, if I do say so myself! 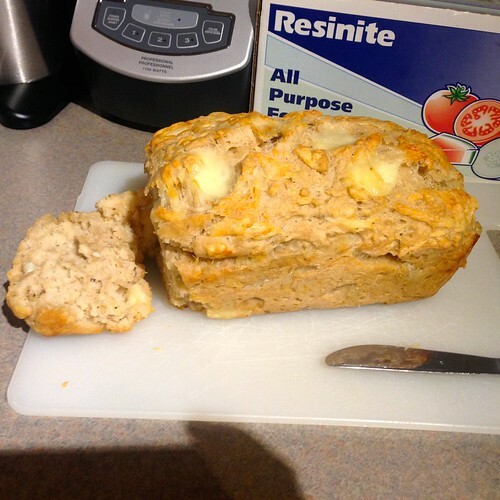 This was really quick to make and really tasty, if you are in the mood for a dense bread. I had read the comments on the recipe before I made this and noted that someone had commented that it didn’t take nearly as long as to bake as the 50-60 minutes stated in the recipe, so I made sure to check on it early and it ended up only taking about 35 minutes to bake! 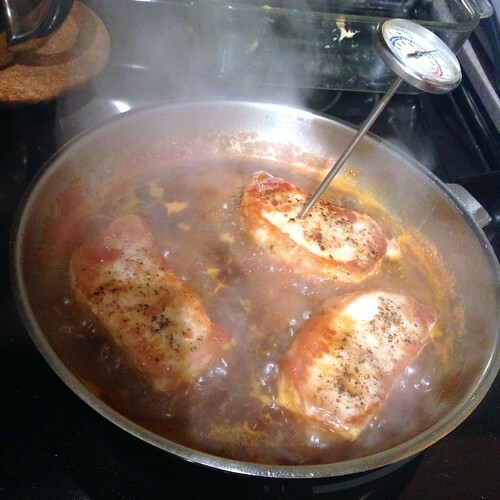 These pork chops were also pretty delicious. 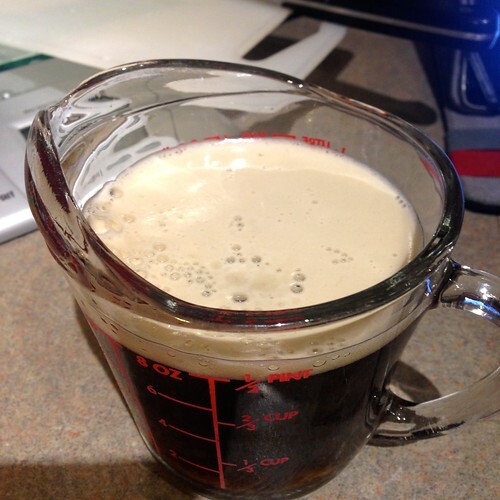 As well, when I put the brown sugar into the beer to make the marinade, the beer foamed up and looked like real beer! 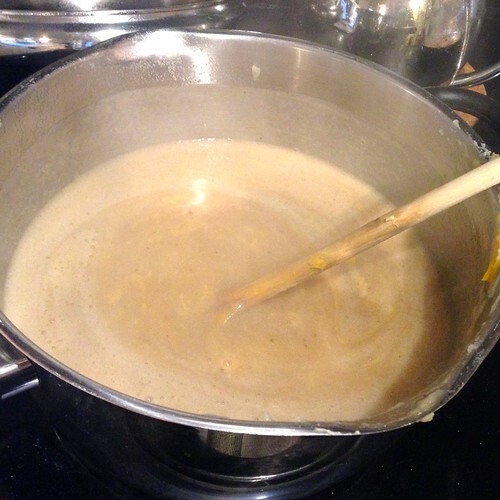 This was a pretty good soup – and I generally don’t even like soup! And so I was 3 for 3 on delicious tasting recipes. Can’t say that this was the healthiest meal I’ve ever eaten – pro tip: when you meal is all beige, something is drastically wrong in the nutrition department. In addition to finding a way to not waste beer1 and making a delcious dinner, I also managed to bring the number of new food items I’ve made this year to 10 and so I’ve officially completed 67% of my goal to make 15 new food items in 2015 and it’s only February! Is it wrong that I’ve been excited about making my 2015 goals list since about mid-November? I’m not sure why I’m such a goal fanatic but the idea of setting goals and working towards them makes me unnaturally happy. Anyway, I now present to you my 2015 goals, some of which are old familiars by this point (either from my previous years’ goals lists and/or taken from my 101 list), but also a few new ideas to keep things interesting. Run two half marathons. 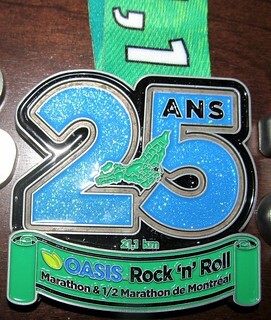 I’ve already registered for the BMO Vancouver half and then I’ll pick one in the fall – Montreal Rock’n’Roll in September is a possibility, depending on my work schedule. 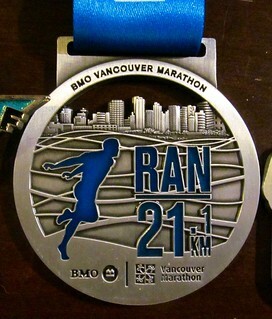 Run a sub-2 hour half marathon. I’ve had this as a goal since I started running half marathons, but if I’m honest with myself, I’ve never really dedicated myself to the amount and type of training needed to achieve it. So this year, I’m really going to dedicate myself to the training for the BMO – and no amount of cold, rain, or hills will be allowed to be an excuse this time. I’ve even signed up for a Sunday morning running clinic so I’ll always have someone to do the long runs with. 2015 will be the year that I will get this one done. Run 800 km. I’m betting I can do better than the 82% of this goal that I managed in 2014, especially given that I’m planning to be more dedicated to my half marathon training. 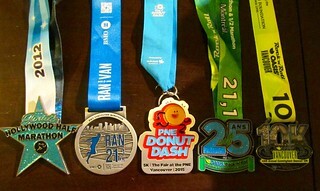 Add 5 new medals to my collection. 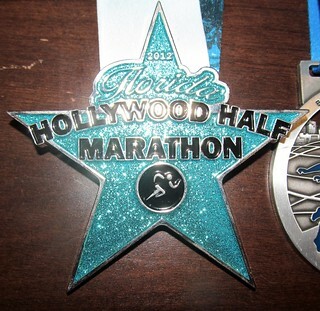 The two half marathons will give me two medals, so I’ll just need to find 3 other races with medals. There’s the Hot Chocolate 5 km in March where you get a medal AND a hot chocolate, which is pretty much a no brainer. So I guess I just need to find 2 more. Complete the 100 pushup challenge. I haven’t tried this one in a while, but I figure it’s good for me to do something related to upper body strength, given that I have none. Lose those last 5 lbs that I gained during my MBA. If I do the above 4 things, I think I’ll have a good shot at this one. Set up a new investment plan. As I mentioned, I did this last year, but now I need to do it again! Pay off 7.5% of my mortgage principal. According to my trusty spreadsheet, just making my regular accelerated biweekly payments, I will pay off 3.4% of my remaining principal. But since I have the option to put lump sums on my mortgage, I figure I find some extra coin to pay off a bit extra. Complete 15 items from my 101 list. This is a bit more than 1 per month – that should be do-able. Apply for at least one research grant. I don’t have any specific ones that I’m planning on, but I really should get on doing this! Make 15 new food or drink items that I’ve never made before. I have a few ideas for this, including trying my hand at making puff pastry from scratch. Organize all my closets. They are a disaster, but I have a good idea of how they should be organized. Write 115 blog postings. That’s only 2.2 blog posting per week. So there are my 15 goals for 2015!